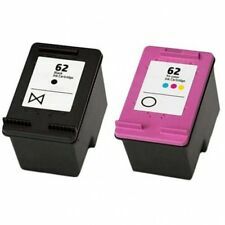 Compatible With the following printers:HP DeskJet 1110 2130 2132 2133 2134 3630 3632 3633 3634 3636 3637 3638 ENVY 4520 4521 4522 4523 4524 4525 4527 4528 OfficeJet 3830 3831 3832 3833 3834 3835 4650 4651 4652 4654 4655 4657 4658 Inkjet Printers. •Deskjet 1000 AIO. Note: This product is remanufactured products, not genuine or O.E.M products. •Officejet 4639. •Officejet 4632. •Officejet 4630. •Officejet 2622. •Officejet 2620. •Deskjet 3059a. If we discover an error in the price of the goods you have ordered we will inform you as soon as possible and give you the option of reconfirming your order at the correct price or cancelling it. We promise to help if an item has not shown up but would encourage you to understand a process must be followed. DeskJet 1110 1115 2130 2132 2133 2134 2135 3630 3632 3633 3634 3635 3636 3637 3638. Compatible ModelDeskJet 3630 2130 1110,HP Envy 4520 4527 4524,HP OfficeJet 3830 4650 3831 Printer. Page Output730 pages for per black. HP OfficeJet 6200 series / 7200 series. HP OfficeJet 7300 series / 7400 series. HP Officejet Pro K7100. HP Officejet H470 series. HP Photosmart 2570 / 2575. HP Photosmart 2600 series / 2700 series. HP Photosmart C3100 series. 1 x 933XL Cyan. 1 x 933XL Magenta. 1 x 933XL Yellow. HP Officejet 6100 ePrinter 6600 e-All-in-One 6700 Premium e-All-in-One 7110 Wide Format ePrinter 7510 Wide Format e-All-in-One 7610 Wide Format e-All-in-One 7612 Wide Format e-All-in-One. (HP PageWide Pro 352dn 352dw 377dn 377dw 452dw 452dwt 477dw 477dwt 577dw 577z P55250dw P57750dw. - Replaces: HP 913XLBK 913XLC 913XLM 913XLY (WITH CHIP). This is for a compatible product NOT an O.E.M product.). HP OfficeJet Pro 8720. HP OfficeJet Pro 7740. HP OfficeJet Pro 8218. HP OfficeJet Pro 8710. HP OfficeJet Pro 8715. HP OfficeJet Pro 8718. HP OfficeJet Pro 8719. HP OfficeJet Pro 8725. •Deskjet 3835 •Deskjet 3840 •Deskjet 3843. •Deskjet 3320 •Deskjet 3320v •Deskjet 3322. •Deskjet 3323 •Deskjet 3325 •Deskjet 3420. •Deskjet 3420v •Deskjet 3425 •Deskjet 3450. •Deskjet 3520v •Deskjet 3520w •Deskjet 3535. Simply ignore the low ink warning and continue printing. Compatible with HP DeskJet 1110 2130 2132 2133 2134 3630 3632 3633 3634 3636 3637 3638 3639 Inkjet Printer. If it has no sponge, it is not an XL and you have been mis sold. HP Deskjet 1000 Printer series - J110, HP Deskjet 1050 All-in-One Printer series - J410, HP Deskjet 2000 Printer series - J210, HP Deskjet 2050 All-in-One Printer series - J510, HP Deskjet 3000 Printer series - J310, HP Deskjet 3050 All-in-One Printer series - J610, HP Envy 450x and 553x series, HP Officejet 262x and 463x series. 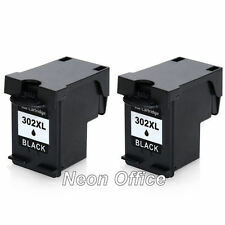 Remanufactured 302 XL Black Ink fits HP Deskjet 3636 All-In-One. • Envy 5530 e-All-in-One • Envy 5532 e-All-in-One Printer • Envy 5535 e-All-in-One Printer. • Envy 4502 e-All-in-One • Envy 4504 e-All-in-One • Officejet 2620. • Deskjet 3511 e-All-In-One • Envy 4501 e-All-in-One • Envy 5300 e-All-in-One. HP Deskjet 1000 1010 1050 1055 1510 1512 1514. HP Deskjet 2000 2050 2510 2512 2514 2540 2542 2543 2544 2545 2547 2548 2549. HP Deskjet 3000 3050 3050se 3055. HP Deskjet 1050A 2050A 2054A 3050A 3052A 3054A 3055A 3057A 3059A. Note: This product is remanufactured products, not genuine or O.E.M products. The picture may vary as different suppliers, It will not effect on working condition. •Officejet 4639. •Officejet 4632. •Officejet 4630. 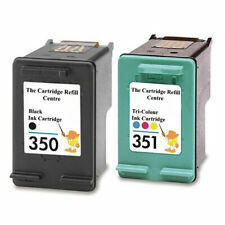 56 Black & 57 Colour NON-OEM Ink Cartridges For HP Officejet 5610 Printers. Compatible Ink, Toner & Labels. They will require a signature. HP Toner Cashback. HP Cashback. Compatible with ISO Standard Production & Testing. Does Not Invalidate Your Printer's Warranty. HP Officejet Pro 6950 All-in-One 6960 All-in-One 6970 All-in-One 6975 All-in-One Printers. 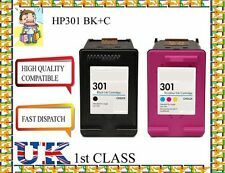 1 x Black Remanufactured Ink Replace HP903XLBK. 1 x Cyan Remanufactured Ink Replace HP903XLC. 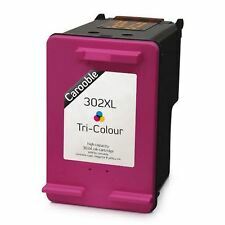 1 x Magenta Remanufactured Ink Replace HP903XLM. Guaranteed To Work With The Following Printers:. HP920 XL Black 2. HP920 XL Cyan 2. HP920 XL Magenta 2. HP920 XL Yellow 2. HP OfficeJet 6000. HP OfficeJet 6000 AIO. HP OfficeJet 6000 Wireless All-in-One. HP OfficeJet 6500. • DeskJet 1510 All-in-One • DeskJet 1512 All-in-One • Deskjet 1514 e-All-In-One. • DeskJet 3057A e-All-in-One • DeskJet 3059A • DeskJet 1010. • DeskJet 2542 All-in-One • Deskjet 3051A e-All-in-One Printer - J611h • Deskjet 3056A e-All-in-One Printer.